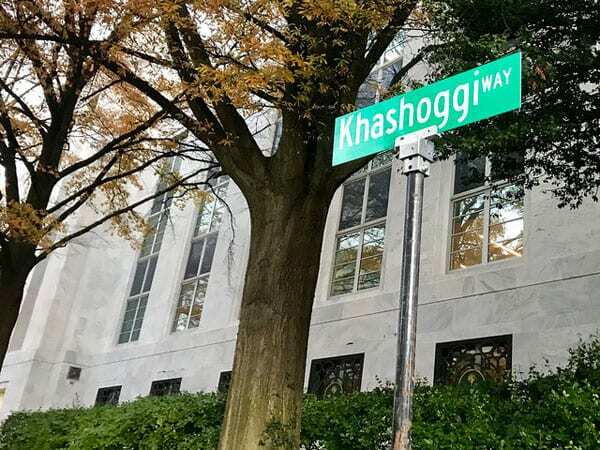 In the months since the murder of Washington Post columnist Jamal Khashoggi, US nonprofit institutions have faced a new permutation of a familiar dilemma: whether one cuts ties with entities who do not subscribe to one’s principles, or not. Last week, the Massachusetts Institute of Technology (MIT) found itself in the spotlight because it commissioned and published a detailed report, known as the “Lester Report,” about its ties to the Saudi government and its ultimate decision to maintain them. Arguments for staying include the desire to maintain programs and research that the Saudi government funds, and the notion that human rights progress can be better achieved through collaboration and inspiration, rather than by clobbering governments and institutions over the head with a moralizing hammer. The arguments in favor of cutting ties include a reluctance to appear to sanction human rights violations or provide support for regimes that commit them. While universities are currently in the spotlight, museums faced a similar reckoning not too long ago. MIT said it worried about its Saudi national students, its professors’ autonomy, and losing the leverage it wields through collaboration and reputation sharing. In his letter to the MIT community, university president L. Rafael Reif cited a research collaboration he used as leverage to create scholarships for female Saudi PhD students at MIT. Jonathan A. King, an emeritus professor of biology at MIT and an activist with Massachusetts Peace Action, wasn’t buying it. The arrangements are “driven not by intellectual content, but by the money,” he said. Saudi funds accounted for 0.2 percent of MIT’s operating budget last year and supported nearly 50 researchers. Many US colleges and universities receive funding from the Saudi government or government-owned entities like oil and gas companies. The engagement generally takes one of three forms: scholarships for students who study in the US, gifts and funding for research, or collaboration on projects. There are no satellite campuses for any US universities in Saudi Arabia. Most colleges and universities have elected to maintain ties, some more strongly than others. Northwestern University asked their faculty to reassess their ties, while the University of Michigan declined to provide any information about Saudi funding and the University of New Haven chose to continue its partnership to advise King Fahd Security College on a degree in security studies. The Associated Press created a chart showing the largest flows of Saudi money to US higher education, using data from the Education Department’s Foreign Gift and Contracts Report. I have come to know many Saudi citizens…working to modernize Saudi society. I have also met Saudi students and postdocs, both women and men, who dream of helping their society participate in and contribute to the global scientific community. MIT’s continued collaboration with the Saudi government sends the message that human rights violations can be overlooked in favor of financial considerations…and it enables the regime to profit off of MIT’s reputation. This both grants the kingdom impunity and damages MIT’s reputation.